Note: Underlining indicates Irazoqui lab members. Lapierre, L. R., De Magalhaes Filho, C. D., McQuary, P. R., Chu, C. C., Visvikis, O., Chang, J. T., Gelino, S., Ong, B., Davis, A. E., Irazoqui, J. E., Dillin, A. and Hansen, M. (2013). The TFEB orthologue HLH-30 regulates autophagy and modulates longevity in Caenorhabditis elegans. Nat Commun 4: 2267. Brown, S., Xia, G., Luhachack, L.G., Campbell, J., Meredith, T. C., Chen, C., Winstel V, Gekelerb C, Irazoqui J.E, Peschel, A. and Walker, S. (2012). Methicillin resistance in Staphylococcus aureus requires glycosylated wall teichoic acids. Proc Natl Acad Sci U S A 109(46): 18909-18914. Luhachack, L.G., Visvikis, O., Wollenberg, A.C., Lacy-Hulbert, A., Stuart, L.M., and Irazoqui, J.E. (2012). EGL-9 controls C. elegans host defense specificity through prolyl hydroxylation-dependent and -independent HIF-1 pathways. PLoS Pathog 8(7): e1002798. Wahlby, C., Kamentsky, L., Liu, Z. H., Riklin-Raviv, T., Conery, A. L., O'Rourke, E. J., Sokolnicki, K. L., Visvikis, O., Ljosa, V., Irazoqui, J. E., Golland, P., Ruvkun, G., Ausubel, F. M. and Carpenter, A. E. (2012). An image analysis toolbox for high-throughput C. elegans assays. Nat Methods 9(7): 714-716. Irazoqui, J. E.*, Troemel, E. R., Feinbaum, R. L., Luhachack, L. G., Cezairliyan, B. O. and Ausubel, F. M. (2010). Distinct pathogenesis and host responses during infection of C. elegans by P. aeruginosa and S. aureus. 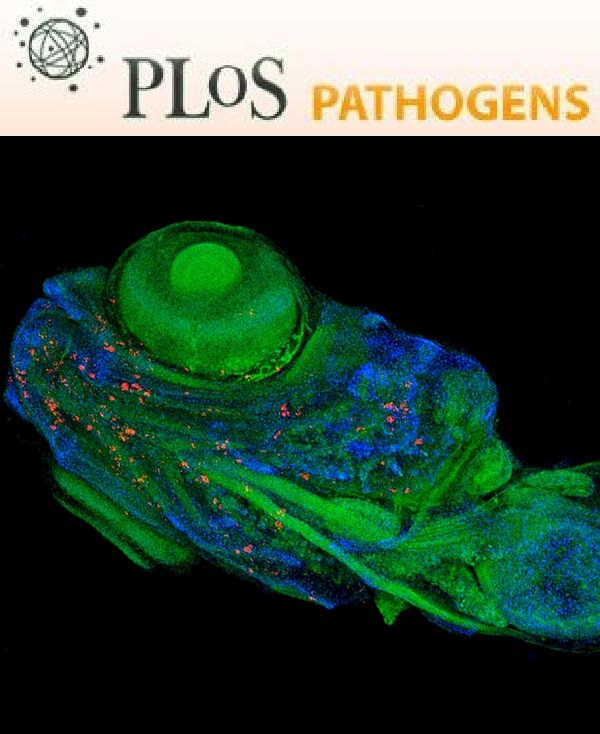 PLoS Pathog 6: e1000982. *Corresponding author. Irazoqui, J. E., Urbach, J. M. and Ausubel, F. M. (2010). Evolution of host innate defence: insights from Caenorhabditis elegans and primitive invertebrates. Nat Rev Immunol 10(1): 47-58. Irazoqui, J. E., Ng, A., Xavier, R. J. and Ausubel, F. M. (2008). Role for beta-catenin and HOX transcription factors in Caenorhabditis elegans and mammalian host epithelial-pathogen interactions. Proc Natl Acad Sci U S A 105(45): 17469-17474. Irazoqui, J. E., Howell, A. S., Theesfeld, C. L. and Lew, D. J. (2005). Opposing roles for actin in Cdc42p polarization. Mol Biol Cell 16(3): 1296-1304. Featured in the American Society for Cell Biology Newsletter. Nominee for Best Paper of the Year 2005 by the American Society for Cell Biology. Rated “Must Read” by Faculty of 1000. Irazoqui, J. E., Gladfelter, A. S. and Lew, D. J. (2003). Scaffold-mediated symmetry breaking by Cdc42p. Nat Cell Biol 5(12): 1062-1070. Featured in News & Views, Nat Cell Biol. 2003 Dec;5(12):1048-9. Rated “Must Read” by Faculty of 1000. Irazoqui, J. E. (2011). Transparent worms help survey the fortress of innate immunity. Virulence 2(2): 83-85. Irazoqui, J. E. and Ausubel, F. M. (2010). 99th Dahlem conference on infection, inflammation and chronic inflammatory disorders: Caenorhabditis elegans as a model to study tissues involved in host immunity and microbial pathogenesis. Clin Exp Immunol 160(1): 48-57. Irazoqui, J. E. and Lew, D. J. (2004). Polarity establishment in yeast. J Cell Sci 117(Pt 11): 2169-2171.